OMNIA Relations has many years’experience in the management of publishing products such as house organ, newsletters, magazines, monographs, websites, media e-zines – all those which transmit messages to the strategic targeted audiences: users, customers, employees, internal and external trade networks, value-added targets, partners. 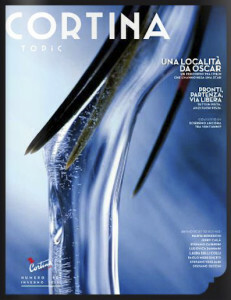 In 2008 OMNIA created the official editorial series of Cortina Turismo: CORTINA.TOPic (magazine of general interest), CORTINA.TOPLiving (magazine of architecture and design), CORTINA.Pocket (annual tourist guide), CORTINA.wake UP (daily information). Since then we follow the preparation (involving authors and contributors, defining projects and summary) and distribution throughout Italy and in the world. Neither a magazine, nor a catalogue, but a remarkable synthesis of the two. 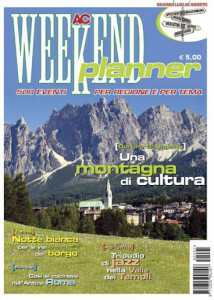 The project was created by the company’s marketing manager David Gabrielli, involving strategic consulting and art direction by Plus di Trento, and editorial content by OMNIA (articles design, interviews with the architects). Every issue focuses on 10 services, based on the case history of excellence and the core values of the company: health, life, beauty. 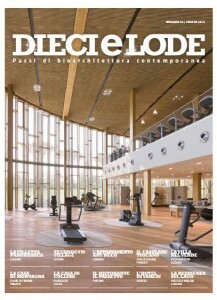 The monthly magazine of Bologna city. OMNIA has created the concept and followed the editorial process throughout its publication. The experience gained in the direction and management of Svela Bologna and Bologna In Magazine formed into a glamorous and colorful magazine distributed monthly together with the leading newspaper of the city. On the heels of Shopping Milano and Parioli Pocket – who launched the concept of the magazine – Trendy has been the regular Bologna city reference for years. 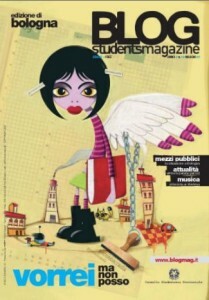 It all started with BLOG Bologna studentsMAG, the monthly student issue born from the entrepreneurial idea of a boy from Bologna of just 21 years old, Marco Mazzoni, with one only goal: to become the magazine of all the Italian higher education institutions, the reference point for young people of 14-18 years old, the instrument of network aggregation. In three years he became a monthly national point of reference for students and councils throughout Italy. OMNIA has been the “editorial angel” leading the direction, coordination and support for the editorial management. None of the regional events are to be missed. This is the concept of this seasonal editorial product (4 Issues per year: summer, fall, winter, spring). OMNIA has given rise to the widespread network of correspondents in every Italian region, following the entire editorial process from its headquarters in Bologna. The magazine’s director is Chiara Caliceti, a professional journalist and the CEO of OMNIA Relations. OMNIA has curated many publications for Spe over the years: from Christmas and other holidays specials to gastronomic guides and major events. 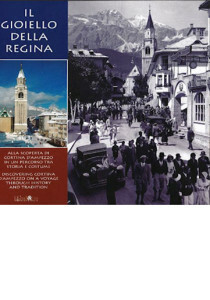 Not forgetting the summarizing dossier of Carlino, and Giorno and Nazione: a year of very special fuss. OMNIA provides overall editorial service, ensured thanks to the well-established network of journalists who have gathered around the company over the years. 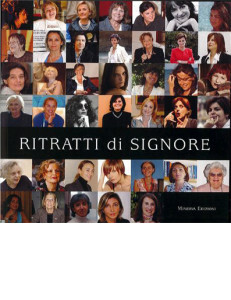 The second volume of Album of Women Fellowship, Men Who Love Women becomes ”excellent.” From A of Avati brothers to Z of Alex Zanardi, the complete alphabetical list of personalities (50 of them, interviewed by the journalists of Bologna) reveals those who helped making Bologna famous in Italy and abroad. Proceeds will be donated to “Salviamola” – the largest fundraising campaign sponsored by the Resto del Carlino to support the renovation of Santo Stefano Basilica, one of the most precious architectural jewels of Italy. This editorial project is realized for solidarity. OMNIA embraced the case of the Women Fellowship, an association born in 2008, with the aim of forming a cohesive group of communication professionals, united by creating opportunities for collation and growth, giving before giving birth to the volume of excellent Portraits of Ladies of Bologna: 40 excellent women of Bologna were interviewed by many journalists. 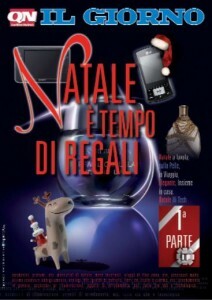 Proceeds donated to “Il Seno di poi” association. Professor of the Communication Course, Chiara Caliceti, supervised the editorial work of L.U.N.A. students in making this “choral” thesis work. 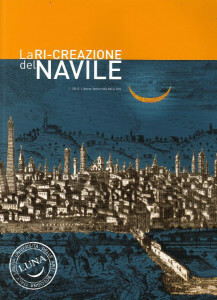 Projects, visions, and forecasts over the Navile in Bologna were the main theme of the work. The watercourse that had great significance for the economic development of Bologna, was elaborated by a group of students who figured out how to give it a life in a perfect connection between past and future. 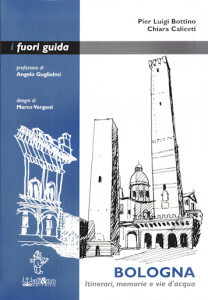 Chiara Caliceti joined Pierluigi Bottino, at the time Director of public works in the Municipality of Bologna, in a historical and present-day volume, which was an enhancement of the “hidden” tourist heritage of Bologna. Choice of collaborators, editorial work, supply chain coordination and final materials delivery to the publishing house – these were the tasks entrusted to OMNIA. There are stories that deserve to be told. This one of Pupi Avati, who with his brother Antonio created a production house that enabled Bologna to conquer the world, is one of those stories. 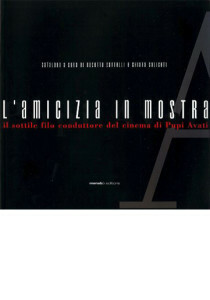 Friendship, passion and admiration gave birth to the idea of a large photo exhibition – presented at Quadri caffè during the Venice Film Festival in 2004 – with the catalogue supervised by Chiara Caliceti in terms of design and publication.